This is the 17th of twenty-one lessons for design students, gathered from the combined experience of being a student, and teaching students. I will published one lesson each weekday until they’re done. I believe that while good communication isn’t as important as good ideas, it will get the most out of them. It is necessary because your ideas can’t speak for themselves. I need you to act as their ambassador, to explain the agenda of your project and demonstrate its effectiveness. The way this plays out is different if you’re presenting via screen or via panels. The former is a linear sequence that limits your ability to jump around your project, but focusses your narrative. The latter is more free-flowing, but makes it harder to direct your audience. 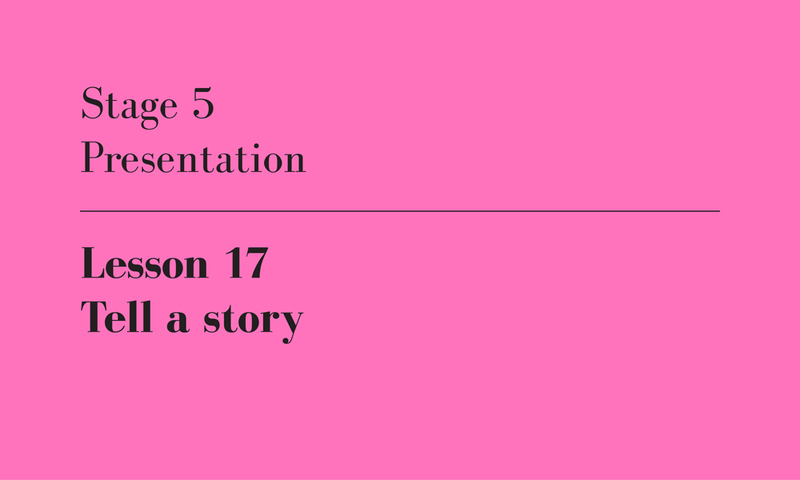 I have a preference for screen-based presentations because I like the structure of narrative. They also do better with larger groups of people, and provide the opportunity for video content or even just a spot of rudimentary stop-motion animation. Either way, design stories are told with both words and pictures. Comic book artists are much better at this form of storytelling than we are. They understand that the story is shared by what’s drawn and what’s written, and capitalise on the strengths of each medium. They also know that their art is a form of caricature: to show a hero running for example, the most effective picture is with her legs at full extension, not limping along at half-stride. So to tell your story with pictures, you need to pick the right ones. Your hero images should show your design in all its glory, money shots that both explain and sell it. Make sure each picture does more than one job: it could be a view of one room from another, or show both the built form and its context. Less but better is the goal here. You should focus your audience on your key ideas, not bamboozle them with endless renders. If your project is a retrospective architectural biography for Julian Assange, then a good place to start would be an illustration of the phased evolution of Wikileaks. It’s not enough to design the spaces to suit Assange’s early hacker days and later more mainstream organisation, you need to pick the images that convey these relationships. Tell a story, author’s own image.